Flight: Memorial Day | Words of Wisdom? 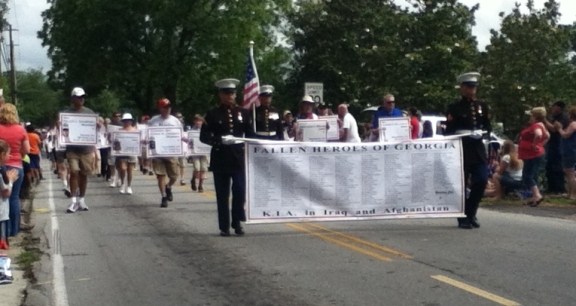 The largest event of the year in my small-town community is the Memorial Day parade. 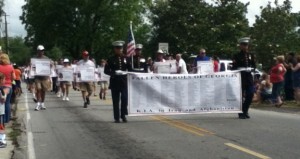 I attend annually with my children, and annually I endeavor to refrain from crying uncontrollably when the banner that lists the names of the fallen soldiers from our state is carried by. Year after year I have watched the list get longer. I have found it impossible to keep the tears from flowing. This is a day to honor those who have fought and sacrificed their lives in service to this nation, with the purpose of preserving our freedoms. We spend today in celebration of their lives and the common values for which they fought, with gratitude for their dedication and their sacrifice, and in remembrance of the incredible depth of their commitment to service. Today is a day to set aside politics and, as a unified nation, acknowledge our debt to the brave men and women who gave all. One way we can honor their memory, is through conscious consideration and appreciation for the rights and freedoms we enjoy in this country, which can be so easily taken for granted. Today, as we put forth our energy to appreciate our freedoms, we acknowledge that they come at a price, and we bow our heads in gratitude to those who have paid it. We thank, we remember, we mourn. And we celebrate. With deference to their legacy, may we each endeavor to work toward peace, that their sacrifice not have been in vain. This entry was posted in Wings/Flight and tagged freedom, military, responsibility, sacrifice, service, UU 2nd Principle, UU 6th Principle. Bookmark the permalink.